A free energy diagram illustrating how computed free energies of activation help explain kinetic differences for a model Claisen rearrangement. Cave, R.J. “Size-Inconsistency Effects in Molecular Properties for States with Valence-Rydberg Mixing: Low-Lying πèπ* States of Ethylene and Butadiene,” J. Chem. Phys. 1990, 92, 2450. Anderson; M.A. *; Cave, R.J. “Calculation of Excitation Energies Using Quasidegenerate Variational Perturbation Theory and Multireference-Averaged Coupled-Pair Functional Theory,” Chem. Phys. 1991, 154, 1. Cave R.J.; Perrott, M.* “Theoretical Investigation of the Ground and Low-Lying Excited States of Butadiene Radical Cation,” J. Chem. Phys. 1992, 96, 3745. Cave, R.J.; Xantheas, S.; Feller, D. “Exploiting Regularity in Systematic Sequences of Wavefunctions Which Approach the Full CI Limit,” Theor. Chim. Acta. 1992, 83, 31. Cave, R.J.; Johnson, J. * “A Theoretical Examination of the Rotamers of Hexatriene Radical Cation,” J. Phys. Chem. 1992, 96, 5332. Dickey, R.P. *; Maurice, D.*; Cave, R.J.; Mawhorter, R. “A Theoretical Investigation of the Geometries, Vibrational Frequencies, and Binding Energies of Several Alkali Halide Dimers,” J. Chem. Phys. 1993, 98, 2182. Goldstein, E.; Jin, S.; Carrillo, M.R. *; Cave, R.J.; “Ab Initio Study of the Ground and Excited States of HCP and its Isomer HPC,” J. Comput. Chem. 1993, 14, 186. Cave, R.J.; Ono, I.A. * “A Theoretical Investigation of the Geometries, Vibrational Frequencies, and Binding Energies of Several Mixed Alkali Halide Dimers,” J. Chem. Phys. 1993, 99, 9764. Hong, H.S. *; Cave, R.J. “A Theoretical Investigation of the Stability of HPC,” J. Phys. Chem. 1994, 98, 10036. Keszthelyi, T.; Wilbrandt, R.; Cave, R.J.; Johnson, J.L. * “Resonance Raman Investigation of the Radical Cation of 1,3,5-Hexatriene,” J. Phys. Chem. 1994, 98, 5632. Cave, R.J.; Johnson, J.L. *, Anderson, M.A. * “Calculation of Electric Dipole Transition Moments Using Quasi-Degenerate Variational Perturbation Theory and Averaged Coupled-Pair Functional Theory,” Int. J. Quantum Chem. 1994, 50, 135. Cave, R.J.; Newton, M.D. ; Kumar, K.; Zimmt, M.B. “Theoretical Study of Solvent Effects on the Electronic Coupling Element in Rigidly Linked Donor-Acceptor Systems,” J. Phys. Chem. 1995, 99, 17501. Cave, R.J.; Newton, M.D. “Generalization of the Mulliken-Hush Treatment for the Calculation of Electron Transfer Matrix Elements,” Chem. Phys. Lett. 1996, 249, 15. Törring, T.; Biermann, S.; Hoeft, J.; Mawhorter, R.; Cave, R.J.; Szemenyei, C.* “The Structure of Alkali Halide Dimers: A Critical Test of Ionic Models and New Ab Initio Results,” J. Chem. Phys. 1996, 104, 8032. Cave, R.J.; Newton, M.D. “Calculation of Electronic Coupling Matrix Elements for Ground and Excited State Electron Transfer Reactions: Comparison of the Generalized Mulliken-Hush and Block Diagonalization Methods,” J. Chem. Phys. 1997, 106, 9213. Mawhorter, R.; Cave, R.J.; Pulham, C.; Biermann, S.; Hoeft, J.; Törring, T. “A Harmonic Potential Function for Lithium Sodium DiFlouride,” J. Mol. Struct. 1997, 413-414, 415. Newton, M.D. ; Cave, R.J. “Molecular Control of Electron and Hole Transfer Processes: Theory and Applications,” in Molecular Electronics, J. Jortner and M. Ratner, eds. (Blackwell, Malden, MA, 1997). Cave, R.J. “Ab Initio Methods for the Description of Electronically Excited States: Survey of Methods and Select Results,” in Modern Electronic Structure Theory and Applications in Organic Chemistry, E. R. Davidson, ed. (World, New Jersey, 1997), p. 197. Henderson, T.M. *; Cave, R.J. “An Ab Initio Study of Specific Solvent Effects on the Electronic Coupling Element in Electron Transfer Reactions,” J. Chem. Phys. 1998, 109, 7414. Hoffman, G.J. ; Swafford, L.A.*; Cave, R.J. “An Ab Initio Study of the Mono- and Difluorides of Krypton,” J. Chem. Phys. 1998, 109, 10701. Miller, N.E. *; Wander, M.C. *; Cave, R.J. “A Theoretical Study of the Electronic Coupling Element for Electron Transfer in Water,” J. Phys. Chem. A. 1999, 103, 1084. Castner, E.W. Jr.; Kennedy, D.*; Cave, R.J. “Solvent as Electron Donor: Donor/Acceptor Coupling is a Dynamical Variable,” J. Phys. Chem. A. 2000, 104, 2869. Lappe, J. *; Cave, R.J. “On the Vertical and Adiabatic Excitation Energies of the 21A(g), State of trans-1,3-butadiene,” J. Phys. Chem. A. 2000, 104, 22294. Cave, R.J; Castner, E. W. Jr. “Time-Dependent Density Functional Theory Investigation of the Ground and Excited States of Coumarins 102, 152, 153, and 343,” J. Phys. Chem. A. 2002, 106, 12117. Cave, R.J.; Burke, K.; Castner, E. W. Jr. “Theoretical Investigation of the Ground and Excited States of Coumarin 151 and Coumarin 120,” J. Phys. Chem. A. 2002, 106, 9294. Cukier, E.*; Daniels, S.*; Vinson, E.*; Cave, R.J. “Are Hydrogen Bonds Unique Among Weak Interactions in Their Ability to Mediate Electronic Coupling?,” J. Phys. Chem. A. 2002, 106, 11240. Rust, M.*; Lappe, J. *; Cave, R. J. “Multistate Effects in Calculations of the Electronic Coupling Element for Electron Transfer using the Generalized Mulliken-Hush Method,” J. Phys. Chem. A. 2002, 106, 3930. Cave, R.J.; Zhang, F.; Maitra, N.T. ; Burke, K. “A Dressed TDDFT Treatment of the 21Ag states of Butadiene and Hexatriene,” Chem. Phys. Lett. 2004, 389, 39. Maitra, N.T. ; Zhang, F.; Cave, R.J.; Burke, K.; “Double Excitations within Time-Dependent Density Functional Theory Linear Response,” J. Chem. Phys. 2004, 120, 5932. Cukier, E, Cave RJ, “A Comparison of Through-Space and Through-Bond Coupling for Tunneling in Alkane Chains,” Cukier, E, Cave RJ, Chem. Phys. Lett. 2005, 402 (1-3): 186. Lappe, J, Cave, RJ, Newton, MD, Rostov, IV, “A Theoretical Investigation of Charge Transfer in Several Substituted Acridinium Ions,” J. Phys. Chem. B. 2005, 109 (14): 6610. Kurlancheek, W.*; Cave, R. J. “Tunneling Through Weak Interactions: “A Comparison of Through-Space-, H-bond-, and Through-Bond-Mediated Tunneling,” J. Phys. Chem A, 2006, 110, 14018. Pheasant, S.*; Kouzelos, J. A. *; Van Ryswyk, H.; Cave, R. J. “Theoretical Investigation of the Electronic Coupling Element in bis-Ruthenium Porphyrin Dimers,” Molec. Simul. 2006, 32, 677. Subotnik, J. E., Yegenah, S., Cave, R. J., Ratner, M. A. “Constructing Diabatic States from Adiabatic States: Extending Generalized Mulliken-Hush to Multiple Charge Centers with Boys Localization,” J. Chem. Phys. 2008, 128, 244101. Cave, R. J. “Inducing Chirality with Circularly Polarized Light,” Science, 2009, 323, 1435. Subotnik, J. E., Cave, R. J., Steele, R. P., Shevni, N. “The Initial and Final States of Electron and Energy Transfer Processes: Diabatization as Motivated by System-Solvent Interactions,” J. Chem. Phys. 2009, 130, 234102. Cave, R. J., Edwards, S. E., Kouzelos, J. A., Newton, M. D. “Reduced Electronic Spaces for Modeling Donor/Acceptor Interactions,” J. Phys. Chem. A, 2010, 114, 14631. Cave, R.J; Newton, M. D. “Multi-State Treatments of the Electronic Coupling in Donor-Bridge-Acceptor Systems: Insights and Caveats from a Simple Model,” J. Phys. Chem. A, 2013, 118, 7221. Cave, R. J.; Stanton, J. F.; “Block Diagonalization of the Equation-of-Motion Coupled Cluster Effective Hamiltonian: Treatment of Diabatic Potential Constants and Triple Excitations,” J. Chem. Phys. 2014, 140, 214112. Hartley, M. K.*; Vine, S.*; Walsh, E.*; Avrantinis, S.*; Daub, G.. W.; Cave, R. J. “Comparison of Relative Activation Energies Obtained by Density Functional Theory and the Random Phase Approximation for Several Claisen Rearrangements,” J. Phys. Chem. B. 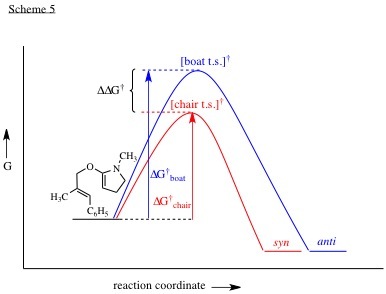 2015, DOI: 10.1021/acs.jpcb.5b06646. Kron, K. J. *; Kosich, M.*; Cave R. J.; Vosburg, D. A. 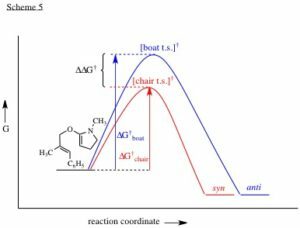 “Divergent Diels−Alder Reactions in the Biosynthesis and Synthesis of Endiandric-Type Tetracycles: A Computational Study,” J. Org. Chem. 2018. DOI: 10.1021/acs.joc.8b01594. West, P.; Kramer, J.; Baxter, D.V. ; Cave, R.J.; Baldeschwieler, J.D. “Chemical Applications of Scanning Tunneling Microscopy,” IBM Journal of Research and Development 1986, 30, 484. Cave, R.J.; Baxter, D.V. ; Goddard, W. A. III; Baldeschwieler J. D. “Theoretical Studies of Electron-Transfer in Metal Dimers,” J. Chem. Phys. 1987, 87, 926. Cave, R.J.; Davidson, E.R. “A Theoretical Investigation of Some Low-Lying Singlet States of 1,3-Butadiene,” J. Phys. Chem. 1987, 91, 4481. Cave, R.J.; Davidson, E.R. “A Theoretical Investigation of Several Low-Lying States of trans, trans 1,3,5-Hexatriene,” J. Phys. Chem. 1988, 92, 614. White, J.A. ; Cave, R.J.; Davidson, E.R. “An Ab Initio Investigation of the Stabilization of Selected β- and α- substituted Ethyl and Methyl Cations,” J. Am. Chem. Soc. 1988, 110, 6308. Cave, R.J.; Davidson, E.R. “An Ab Initio Investigation of Several Low-Lying States of all-trans Octatetraene,” J. Phys. Chem. 1988, 92, 2173. Cave, R.J.; Davidson, E.R. “Hylleraas Variational Perturbation Theory: Application to Correlation Problems in Molecular Systems,” J. Chem. Phys. 1988, 88, 5770. Cave, R.J.; Davidson, E.R. “Ab Initio Estimates of 0-0 Transition Energies in Butadiene and Hexatriene,” Chem. Phys. Lett., 1988, 148, 190. Cave, R.J.; Davidson, E.R. “Quasidegenerate Variational Perturbation Theory and the Calculation of First-order Properties from Variational Perturbation Theory Wavefunctions,” J. Chem. Phys.1988, 89, 6798. Cave, R.J.; Davidson, E.R. ; Sautet, P.; Canadell, E.; Eisenstein, E. “A Theoretical Study of Models for X2Y2 Zintl Ions,” J. Am. Chem. Soc. 1989, 111, 8105. Allison, J.N. ; Cave, R.J.; Goddard, W.A., III “Alkali Oxides. Analysis of Bonding and Explanation of the Reversal of Ordering of the 2Σ and 2Π States,” J. Phys. Chem. 1984, 88, 1262. Siders, P.; Cave, R.J.; Marcus, R.A. “A Model for Orientation Effects in Electron- Transfer Reactions,” J. Chem. Phys. 1984, 81, 5613. Cave, R.J.; Siders, P.; Marcus, R.A. “Mutual Orientation Effects on Electron- Transfer Reactions between Porphyrins,” J. Phys. Chem., 1986, 90, 1436. Cave, R.J.; Klippenstein, S.J; Marcus, R. A. “A Semiclassical Model for Orientation Effects in Electron-Transfer Reactions,” J. Chem. Phys. 1986, 84, 3089. Guyer, K.L. ; Barr, S.W. ; Cave, R.J.; Weaver, M.J. `”Electrode Kinetics and Double-Layer Structure at Solid Electrodes,” in Proceedings of the Third Symposium on Electrode Processes, 1979, eds. S. Bruckenstein et al. (The Electrochemical Society, Princeton, N. J. 1980) p. 390. Yee, E.L.; Cave, R. J.; Guyer, K.L. ; Tyma, P.D. ; Weaver, M.J. “A Survey of Ligand Effects Upon the Reaction Entropies of Some Transition Metal Redox Couples,” J. Am. Chem. Soc., 1979, 101, 1131.